The Mediterranean diet is a heart-healthy diet that was first promoted by Dr.Ancel Keys (1). He found that people living in the Mediterranean basin had reduced incidences of obesity and heart disease (2). New research findings confirm that this diet also helps fight cancer and improves cognition (3), (4). Want to know what the people of Spain, Greece, Ikaria, Sardinia, France, Portugal, and Croatia eat? And how they live a long, disease-free life? Then, give this article a read. It has everything you need to know about the Mediterranean diet. Swipe up! 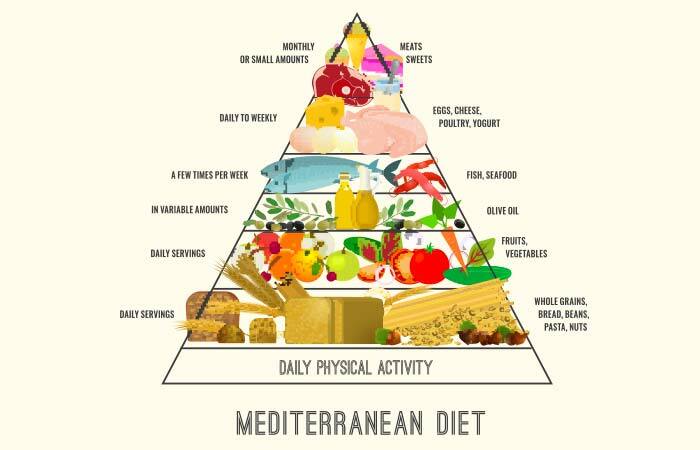 The Mediterranean diet is a healthy eating and lifestyle plan followed by people living in the Mediterranean basin. Alexandre Meybeck, the coordinator of Sustainable Food Systems Program, United Nations Food and Agriculture Organization (FAO), said, “The Mediterranean diet is nutritious, integrated into local cultures, environmentally sustainable and it supports local economies” (5). The food pyramid describes the Mediterranean diet quite sensibly. It encourages you to consume fresh and healthy foods and limit the consumption of animal protein and requires you to be physically active. You may wonder who created this diet and why it allows you to consume bread, which is simple carb and may cause weight gain. To find the answer, take a quick look at the evolution of the Mediterranean diet. 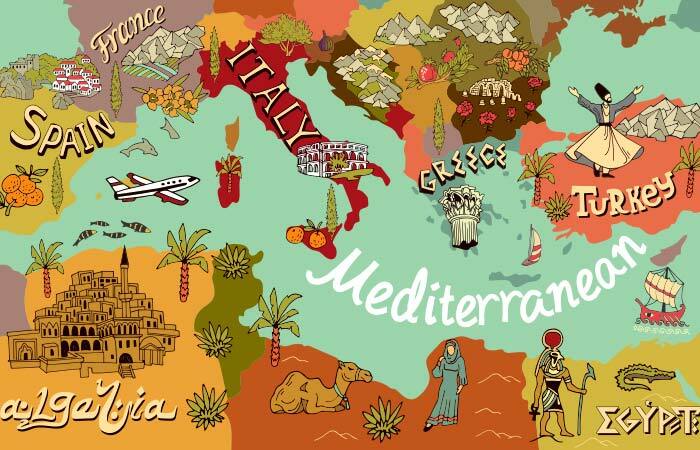 The origin of the Mediterranean diet can be traced back to the Middle Ages when the Mediterranean region was the cultural hubspot for Romans, Greeks, Parisians, Babylonians, Assyrians, and Sumerians. Bread, wine, oil, sheep cheese, home-grown vegetables, fish, seafood, and meat were popular foods. Cereals were mainly eaten by the poor as they helped them feel full for a long duration. Later, the Islamic culture introduced pomegranate (talk about baba ganoush), almonds, oranges, lemons, and rose water. They also introduced some high-priced exotic plants like sugarcane, rice, spinach, eggplant, and spices that were only consumed by wealthy people. Tomato, which was considered an inedible ornament fruit, was imported from America and was the first red vegetable to be introduced in Mediterranean cuisine (2). Fast forward to 1957, Dr. Ancel Keys was the first to define the Mediterranean style of eating and living that protected the populace from the diseases that crippled the West (6). He conducted the famous “Seven Countries Study” in the US, Italy, Greece, Yugoslavia, the Netherlands, Finland, and Japan. 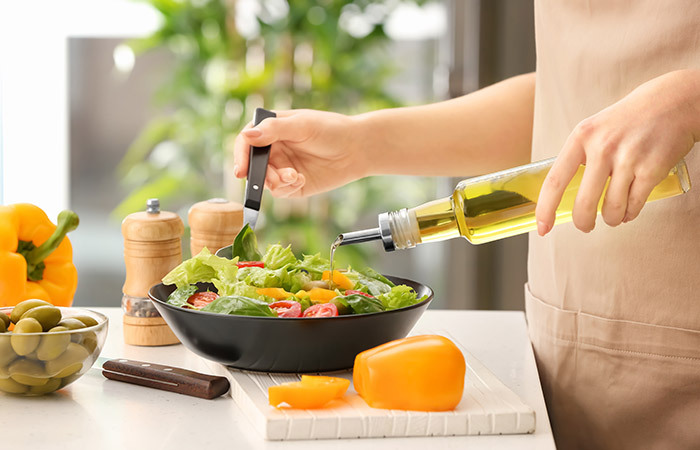 He found that a diet high in saturated fat and smoking are the reasons for the rise in CVDs in the West, unlike in the Mediterranean region (7). In 2018 and 2019, several studies have confirmed that the Mediterranean diet helped reduce abdominal obesity and the risk of diabetes type II (8), (9). But that’s just the tip of the iceberg. Here’s a list of benefits of following the Mediterranean diet. To understand why there are so many health benefits of the Mediterranean diet, you must be aware of the working principle of this diet. Here’s how this diet works to prevent and protect you from almost every disease. Fruits, veggies, and whole grains are great sources of dietary fiber, which helps improve digestion and bowel movement (17). Dietary fiber also helps lower LDL cholesterol and regulates blood glucose levels (18). Lean protein and a limited amount of red meat make this diet extremely heart-friendly. Protein helps to build lean muscle mass, which, in turn, boosts metabolism (19), (20). Vegans and vegetarians may consume legumes, nuts, and seeds for protein. Yogurt and cheese are great sources of calcium, good gut bacteria, and protein. Yogurt helps improve digestion by increasing the number and variety of good gut bacteria (21). Fish, nuts, olive oil, and seeds are loaded with healthy fats that prevent inflammation and inflammation-induced weight gain (22). Before you get all excited and start following the Mediterranean diet, take a quick look at the following guidelines. Eat plant-based foods like vegetables, fruits, nuts, legumes, and whole grains. Eat fish and poultry twice every week. Eat red meat 2-3 times a month. Use herbs and spices to make your food flavorful and tasty. Use olive oil instead of vegetable oil, butter, lard, margarine, etc. Consume salt and sugar in limited amounts. Indulge in a sweet treat once a week. Enjoy your meal with family or friends. Drink an adequate amount of water (3-4 liters) per day. Keeping these points in mind, here’s the foods list. Take a screenshot and use it when you go grocery shopping. Veggies Tomato, broccoli, cauliflower, Chinese cabbage, spinach, Swiss chard, asparagus, zucchini, bell pepper, bok choy, green chili, pumpkin, bottle gourd, snake gourd, bitter gourd, okra, eggplant, radish, turnip, beetroot, carrot, sweet potato, potato with peel, radish greens, rocket spinach, collard greens, and green beans. Fruits Papaya, apple, grapes, grapefruit, lime, lemon, orange, plum, pear, peach, pluot, figs, blueberry, strawberry, starfruit, green apple, watermelon, and muskmelon. Protein Fish, prawn, crab, squid, mussels, skinless chicken breast, limited amounts of beef and pork, beans, lentils, and legumes. Grains & Bread Oats, wheat, buckwheat, barley, sorghum, quinoa, amaranth, freshly baked whole wheat bread, multigrain bread, spiced bread, olive bread, tomato bread. Fats & Oils Olive oil, rice bran oil, and ghee (clarified butter). Seeds & Nuts Macadamia nuts, almonds, pistachios, walnuts, pumpkin seeds, flax seeds, sesame seeds, sunflower seeds, and hazelnuts. Beverages Coconut water, freshly pressed fruit juice and vegetable juice, buttermilk, green tea, herbal tea, and black coffee. Herbs & Spices Cinnamon, cardamom, turmeric, nutmeg, black pepper, star anise, cayenne pepper, cumin powder, coriander powder, cilantro, oregano, dill, fenugreek seeds, rosemary, thyme, clove, saffron, fennel seeds, and fenugreek seeds. Dairy Limited amounts of yogurt, cheese, and eggs. Animal fat, butter, mayonnaise, ranch, canola oil, and vegetable oil. Deep fried chicken, wafers, crisps, doughnut, nachos, salami, sausage, pepperoni, fries, pizza, burger, etc. Aerated drinks, artificially sweetened drinks, packaged fruit juices, and alcohol. Ready-to-eat food and frozen foods. Now, it is a little easier for you to understand which foods to eat and foods that are off limits. But if you are hesitant to design your own Mediterranean diet plan, here’s a sample plan for your reference. You have the freedom to consume a variety of foods, which will also keep your interest in continuing with the diet. However, you will not reap the full benefits of this diet if you do not do the following. Workout regularly. Do what interests you and is convenient for you. If lifting weights every day is not your thing, you may go for Zumba or kickboxing or swimming. Stick to your diet. Did you know that your health is more dependant on your diet that the number of hours you spend at the gym? If you want to see results, you must adhere to your diet. Enjoy the foods you like. But you may do it only once a week and only if you adhered to the diet. Indulging once a week will prevent you from losing interest in the Mediterranean diet. Click here to know the 10 strategies of enjoying a cheat meal. Practice portion control. If you go way beyond your calorie limits, it can be a problem, especially while having a cheat meal. The mantra is to control portions or eat everything in moderation. Take stress out of the equation. Otherwise, your effort will just go down the drain. 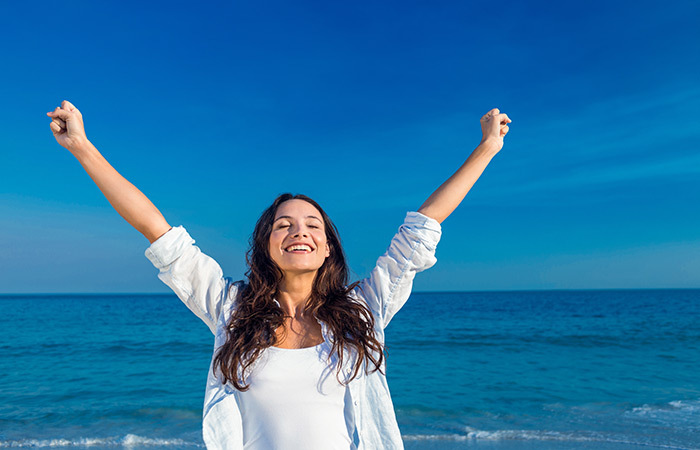 Stress increases harmful free oxygen radicals, which increase inflammation in the body. As a result, your vital organs, like the heart, lungs, skin, and liver, may get affected. Moreover, stress also increases abdominal fat and the risk of diabetes type II. Sleep. Do not undermine the strength of sleep. Your brain is just like your laptop. It needs to shut down for a while to prevent overheating and malfunctioning. Get at least 6 hours of undisturbed sleep. Pick up a hobby. Do you like to dance? Sing or paint? Play sports or experiment with makeup? The point is to keep yourself busy in a way that will help you detox and de-stress. Don’t think anymore. There’s no better time than doing it now! Drink wine. Alone or with friends, consume a glass of wine if you are in the ‘party mode’. Eat home-cooked meals. Restaurant food is loaded with invisible calories, preservatives, food color, and taste enhancers that are harmful to your health. So, consume home-cooked meals at least 99% of the times. 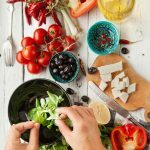 If you are new to cooking or dread cooking, here are a few simple and easy Mediterranean diet recipes for you. Take a look. In a small bowl, mix olive oil, lime juice, parsley, oregano, salt, and pepper. 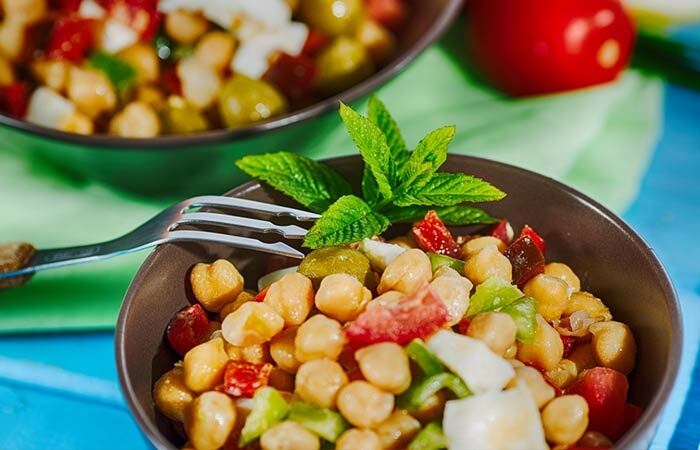 In a large bowl, mix the chickpeas, tomato, cucumber, onion, olives, bell pepper, and crumbled feta. Drizzle the dressing and give it a quick toss. Refrigerate it for 10 minutes before eating. In a bowl, mix tomato, onion, capers, olive, lime juice, olive oil, and salt. 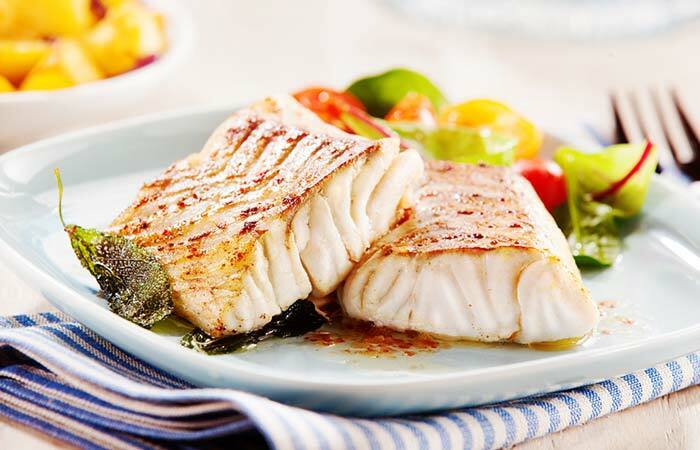 Place the basa or halibut fillets on an aluminum foil and rub the Greek seasoning on it. Spoon the tomato mix over the basa or halibut fillets. Take another piece of aluminum foil and seal the fish. Coat an 8 by 11 inches baking dish with cooking spray. Make thick slices of the eggplant. In a bowl, whisk egg whites and water. In another bowl, combine parmesan, breadcrumbs, salt, and pepper. Dip the eggplant slices into the egg mixture and then coat with the breadcrumb. Shake off the extra. Place the breadcrumb-coated eggplants on a baking sheet and bake for 15 minutes. Turn over and bake for 10-15 minutes more, until both sides are golden brown. Combine tomato puree and slivered basil and spread half of this sauce at the bottom of the cooking spray-coated baking dish. 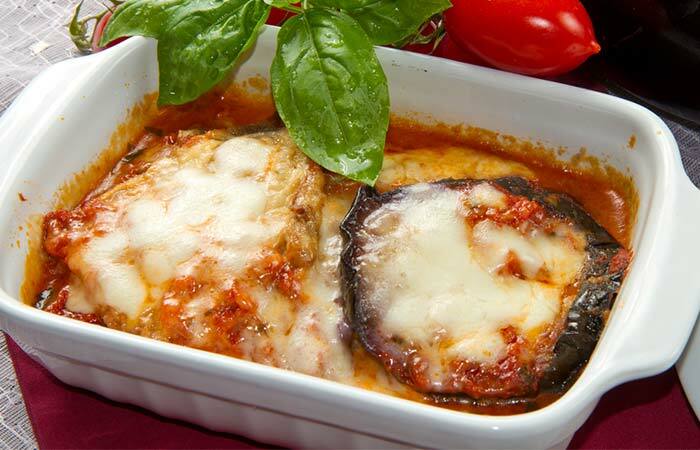 Place the eggplant slice and then top it with the remaining tomato puree. Bake uncovered for 15-20 minutes. These are super quick and delicious. 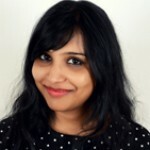 So, why not cook at home? The Mediterranean diet is certainly the best diet to follow if you want to improve your health and lead a disease-free life. This diet is not a fad diet, and you have the freedom to eat anything – as long as it is nutritious and unprocessed. So, consult your dietitian today and try the Mediterranean diet to see yourself transform. Take care! Can I eat peanut butter while on the Mediterranean diet? If the peanut butter is 100% organic, you can consume it. However, the peanut butter that is sold in supermarkets contains preservatives, which is a no-no in the Mediterranean diet. Yes, peanut butter is definitely a better option compared to butter, but make sure it does not contain any artificial flavoring, coloring, and preserving agents. Is the Mediterranean Diet similar to the Paleo diet? No, the Paleo diet excludes grains such as brown rice, quinoa, wheat, kidney beans, garbanzo beans, etc. That’s because the Paleo diet is a diet that humans of the Paleolithic age followed, and cooking grains was not a practice at that time. Also, in the Mediterranean diet, you are required to consume legumes and grains. Is the Mediterranean diet similar to the Ketogenic diet? No, the ketogenic diet requires you to eat a lot of fat, moderate protein, and very less amount of carbs. In the Mediterranean diet, you will consume a lot of olive oil, but you will also consume a lot of veggies and fruits that contain complex carbs or good carbs and a moderate amount of proteins. “ANCEL KEYS, MS, PHD” Heart Attack Prevention, University of Minnesota. “The Mediterranean Diet: A History of Health” Iranian Journal of Public Health, US National Library of Medicine. “Mediterranean diet and cancer.” Public Health Nutrition, US National Library of Medicine. “Mediterranean Diet and Age-Related Cognitive Decline: A Randomized Clinical Trial.” Journal of the American Medical Association Internal Medicine, US National Library of Medicine. “An age-old model of healthy living, the Mediterranean diet is now under threat – UN” UN News. “Definition of the Mediterranean Diet: A Literature Review” Nutrients, US National Library of Medicine. “SEVEN COUNTRIES STUDY” Heart Attack Prevention, University of Minnesota. 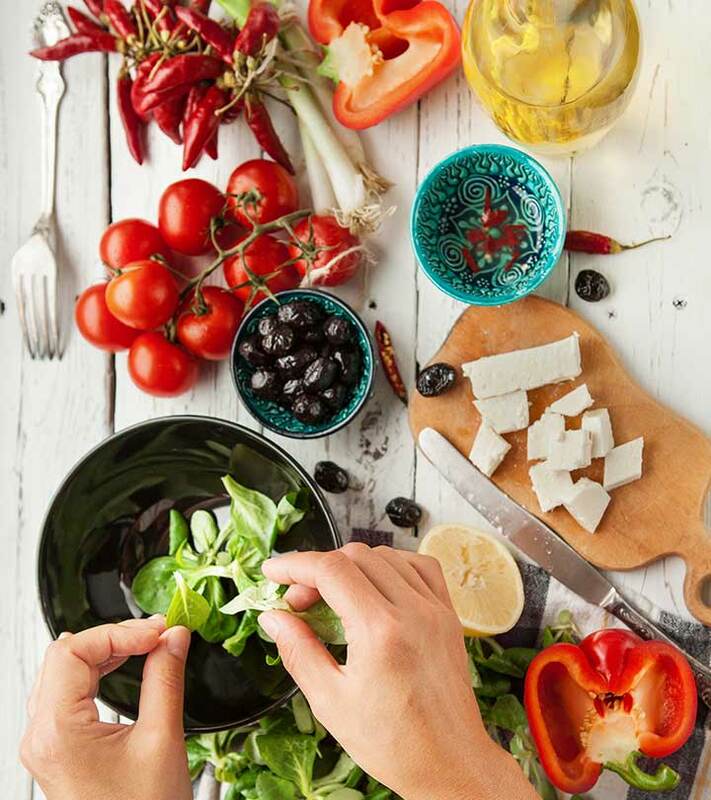 “Adherence to a Mediterranean diet and long-term changes in weight and waist circumference in the EPIC-Italy cohort” Nutrition and Diabetes, US National Library of Medicine. “The Mediterranean diet and risk of type 2 diabetes in Iranian population.” European Journal of Clinical Nutrition, US National Library of Medicine. 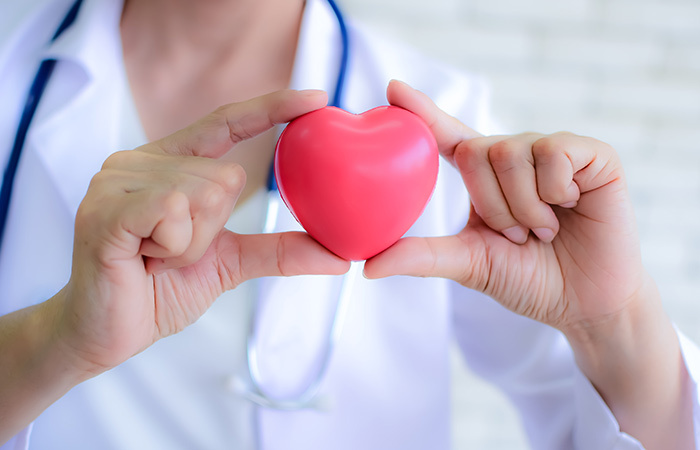 “Mediterranean diet and prevention of coronary heart disease in the elderly” Clinical Interventions in Aging, US National Library of Medicine. “Mediterranean diet and weight loss: meta-analysis of randomized controlled trials.” Metabolic Syndrome and Related Disorders, US National Library of Medicine. “Prevention of Alzheimer’s disease: The role of the Mediterranean diet” Revista de Nutricao. “Mediterranean diet and metabolic syndrome: the evidence.” Public Health Nutrition, US National Library of Medicine. “The Immune Protective Effect of the Mediterranean Diet against Chronic Low-grade Inflammatory Diseases” Endocrine, Metabolic & Immune Disorders Drug Targets, US National Library of Medicine. “Mediterranean diet and longevity.” European Journal of Cancer Prevention, US National Library of Medicine. “Systematic Review of the Mediterranean Diet for Long-Term Weight Loss.” The American Journal of Medicine, US National Library of Medicine. “Health Benefits of Fruits and Vegetables” Advances in Nutrition, US National Library of Medicine. “Dietary soluble fiber lowers plasma LDL cholesterol concentrations by altering lipoprotein metabolism in female guinea pigs.” The Journal of Nutrition, US National Library of Medicine. “Higher Protein Intake Is Associated with Higher Lean Mass and Quadriceps Muscle Strength in Adult Men and Women” The Journal of Nutrition, US National Library of Medicine. “Protein intake and energy balance.” Regulatory Peptides, US National Library of Medicine. “Fermented Foods as a Dietary Source of Live Organisms” Frontiers in Microbiology, US National Library of Medicine. “Obesity, Inflammation and Diet” Pediatric Gastroenterology, Hepatology & nutrition, US National Library of Medicine.